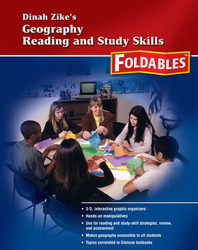 Dinah Zike's 3-D, interactive graphic organizers and hands-on manipulatives makes geography accessible to all students. Perfect for reading and study-skill strategies, review, and assessment. Topics are correlated to Glencoe textbooks.